I’d intended for the “scare the crap out of you” post to be like a Bullet or two, and then I just kept typing as I got more unnerved by the road that lays ahead of the Cubs. That’s how it is: you can rarely see further ahead than the end of your nose, but when you start to really look out there in the world, you’re like, “Oh, wow, seriously? THAT’S what’s out there? !” Good and bad. Good and bad. The Cubs made a decent amount of hard contact last night, and very little soft contact. Mostly, though, they were making “medium” contact against rookie Royals righty Heath Fillmyer, which didn’t do much for them. A .150 BABIP in the game was probably a good bit of bad luck. This is merely a “just sayin'” Bullet. The Cubs didn’t crush the ball and they didn’t walk much, so whatever. It was ultimately a 9-0 game, and I’m not inclined to do a ton of deconstruction on how it could have gone differently. 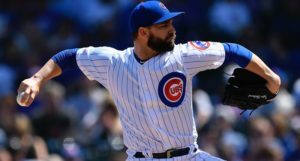 I will note, though, that it’s unfortunate that Tyler Chatwood – who got smacked around again last night late – is now in a spot where you cannot possibly justify using him in a game that isn’t already totally out of hand, or where you’re not totally out of pitchers (and Anthony Rizzo is down, too). 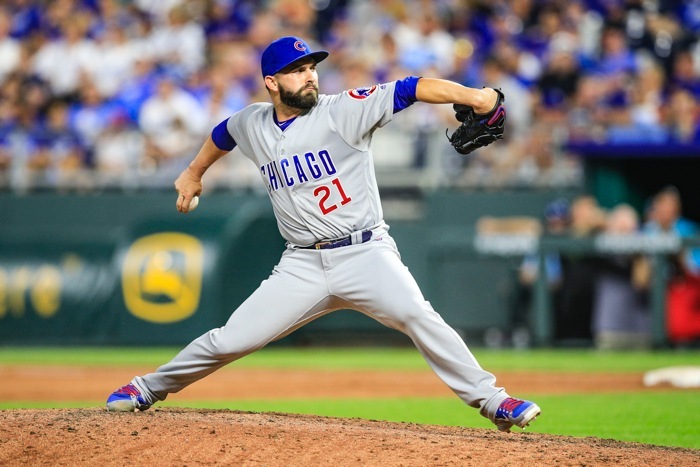 The crunch of having a guy hidden in your bullpen for contract reasons goes away on September 1, but until then, I don’t really see how Chatwood gets much out of his role, and the Cubs certainly aren’t getting anything good out of it. Also, I think it’s all because he went away from the high socks about a month ago. Oh, also, because I can’t help myself: yes, the Joe West strike zone was bad and inconsistent last night, and Jose Quintana’s second walk of the pivotal second inning was actually pretty clearly a strikeout that should have ended the inning before any runs scored. 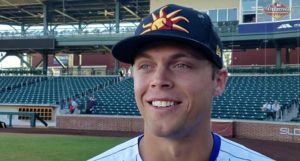 Rizzo: "We lost one game. I'm sure some people will write we lost to the Royals and we need to panic. We lost one game." Rizzo after being reminded the Cubs "only" went 4-3 against SD/KC: Do you think we should dwell on it?" Then: "We’re due for a roll somewhere." The Chicago Cubs haven't been more than 5.5 games out of first place since 2015. They've gone to the NLCS in three consecutive seasons, have won their division twice in a row, and have raised a World Series banner over Wrigley Field. Remember to enjoy the era. Remember when he hit that walk-off grand slam? That was awesome. Huge sale on the Fire 8 HD Tablet at Amazon today – 45% off, so it’s just $59.99. Next Post Next post:Adrian Beltre Would Reportedly Accept a Trade to the Cubs, But Is That Really a Plausible Move?